Last month, I read a couple of books. Not as many as I had hoped for. I really enjoyed this book One Second After. I was worried because my husband had warned me about the emotional and psychological effect it had on him. I was brought to tears about 5 or 6 times. There were slow moments, but they were far and few between. It was definitely worth reading. I wouldn't consider myself a "prepper", but after receiving information from the branch about being prepared for natural disasters, you can never be too prepared. This book gave me much to think about. 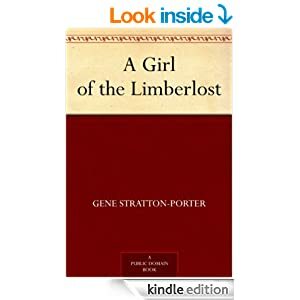 My friend Donna, told me about the book A Girl of the Limberlost. She loved it and suggested I read it. I loved it. The story line was good, slow but good. There were moments when I thought the author was going in one direction, only to head down a completely different path. Time skipped and dragged. The author would dwell on an incident for chapters then quickly dismiss years within one paragraph. If you like Anne of Green Gables, you would probably like this book. I'm going to read Freckles next, I wonder if it should have been read first, I'll let you know. 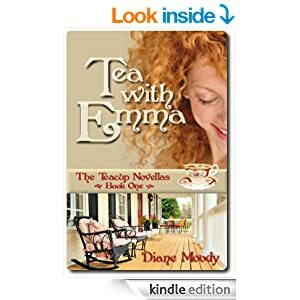 Tea with Emma was an especially fun read. The character returns from a trip to England and decides to open up a tea room "a la Jane Austen-esque". It was a free kindle book and I'm going to buy the next books in the series. It's a sweet, clean romantic novella. I'd love to have a minimalist home. I hate clutter, and I'm sentimental. Catch 22 I know. It's hard for me to throw things away, so 9 times out of 10, I donate things to Goodwill. But it takes me weeks to donate something. My friends laugh at me, and it's okay, I know I'm nuts. The other problem I have is keeping things with a view of turning them into a DIY project. Good grief, my garage is a nightmare. 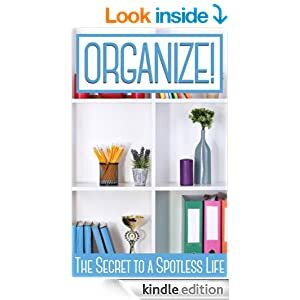 I found this free kindle book Organize - the secret to a spotless life. Most of the information was very practical and I have tried implementing the tips already. I didn't find it extremely eye-opening, but for a free book, it was worth reading. I skipped the suggestions about personal organization referring to my life (friends, family, religion...). I learned a while ago to keep my life free of "drama" friends. I just don't have the temperament to keep their life together and mine. I have learned that "drama" people, while I love them, are more emotionally draining than upbuilding. We all have moments when we are downers, but when your negativity starts to wear on me, I have to take a step back and limit my association with you. Call it my age, I don't know, but I just don't have time for it anymore. Currently, I'm reading Fire in my Belly by Chef Kevin Gillespie. I can't wait to tell you about it. 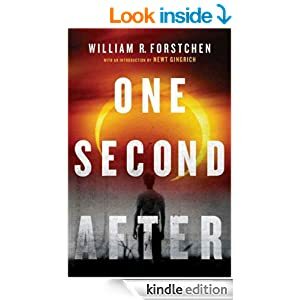 I just finished One Second After based on your recommendation. I liked it and you're thoughts on it were spot on. Makes me want to head to Costco and get huge bags of rice!